Hi, after my first (and positive experience) with the YN565EX (you could read about it here or read my review for the yn560EX here ) I decided to get one more flash unit into my strobist bag. As for strobist needs I only need a manual flash, good controls and flash power. I must say that at first glance you get it from the yn560ii, big time! Power: The Yongnuo Flash has a guide number of 58 which puts it in front with the other big flashes like the Canon 580/600 and Nikon 800/900/910. This will be plenty of light for your needs. Manual control (only): This flash is manual only flash, no TTL support and no af assist beem, but it offers lots of control, actually all the control you’ll need from a strobist flash. Connectivity : It has a standard PC socket in case you’ll need to trigger via PC connection. An external battery pack can be used here too for getting its recycling times even better and getting some more flash fires before juicing up your batteries. Bouncing : You can tilt it both ways right/left and up/down like all other flashes. 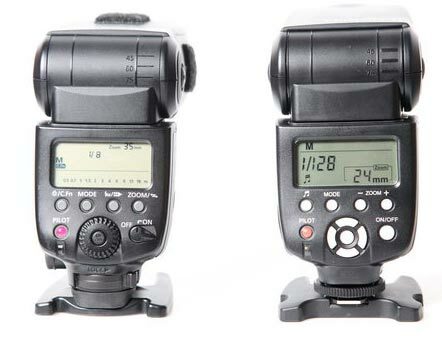 Zoom Control – the flash head can be controlled from 24mm to 105mm all manually. Building Q : Very good! when I oppened the box and got my 560II I was very positively surprized, the plastics and feel are very good! It even surprised me more when I tilted its head, it has a smooth sound and good feel. The screen : If you had the first yn560 version youl’d probably remember the mini lamps for the flash power, well now you got those numbers where you can see’em. Power Control : In the older version, there where those mini lamps for full stop control – 8 steps from 1/1 full power to 1/128th full power.In the YN-560II you can now control the flash power with 1/3 stops too, in a very easy way – the right and left arrows will adjust the power in full stops steps while the up and down arrows while make 1/3 steps jumps. This makes this unit very versatile! 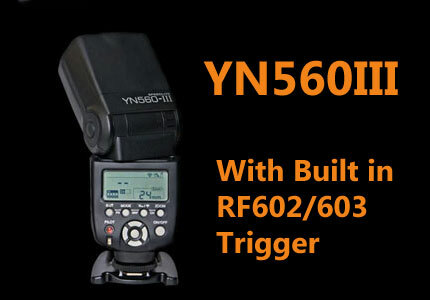 The YN560III has a built-in radio trigger and it will work with your RF602 and RF603 triggers!!! This is a very cool new feature. YN560III costs about 20$ more than the “older” model. 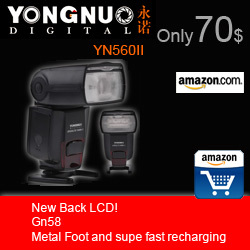 While the YN560II starts on eBay at about 70$-72$, the YN560III starts at about 92$. 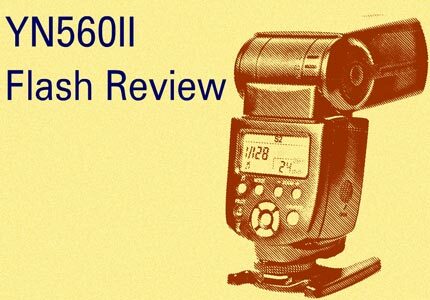 Bottom line: The newer yn560II is a much more user-friendly flash unit for the strobist compared to the yn560(I), the read LCD screen is a very welcomed change. Building Q is very good. 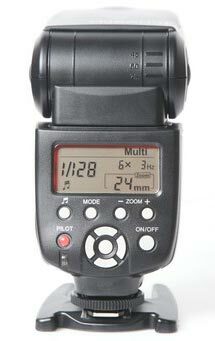 If you are looking for a second manual flash for your strobist fun time, this one is a very good option to consider. For under 80$ this flash is a great bargain! I enjoy it!!! What do you think about it?! 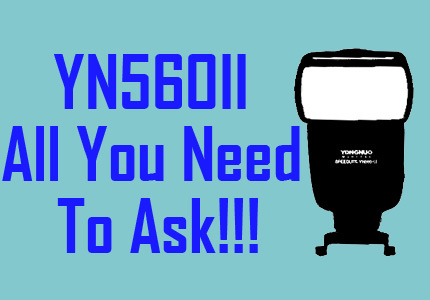 Just Announced YN560III – Whats New About It? I use YN460s exclusively and can’t be happier! They are a quality product; they can take a beating and keep working (I almost destroyed one but put it back together and it works fine! ); the price can’t be beat. I use them with YN radio frequency flash triggers and have off camera flash for a great price! Thanks for an honest review! I don’t have any personal experience with the 460’s, I got only 2 YN565’s and 2 560II’s and they wprk just fine after about 10 weddings= ~1000 flashes per wedding. My second shooter has some 460’s version one and is pleased with them. What kind of usage you do with your 460’s? This one is the best flash for your money out there. You might want to consider the 460II if you don’t need the 50+GN power, but getting so much for +-70$ is amazing. I think that the YN560II is a great flash , but in the 50GN flash erea, I like the YN560EX better. It costs 30 bucks more but it can work with my YN622 in manual modes and can also do some TTL. For 70$ the 560II is the best flash you can get. You can use it as slave only up to your camera’s max flash sync speed, ussually about 1/200-1/250 depending on your camera model. 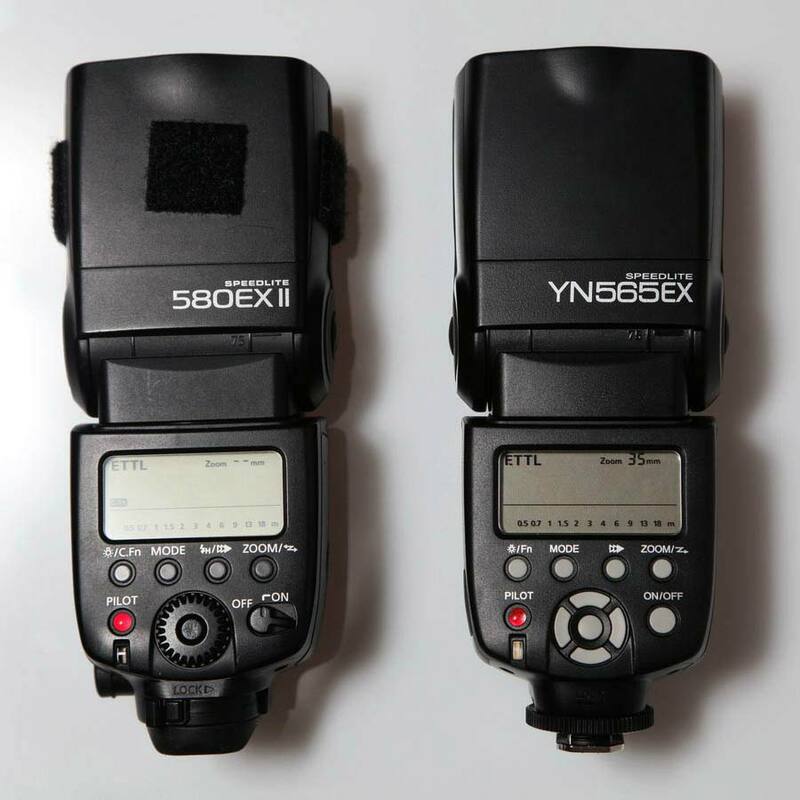 I just purchased two YN560II as my first strobes – love them already. Great manual controls, great build quality and an unbeatable price. Here’s my two of my three girls with 2-light setups. Looking forward to more experimentation – loads of fun. Are you, or any commenters, still happy with your YN560II? I’m asking because of comments and updates at strobistcom and on flickr that these flashes die too easy, too early.